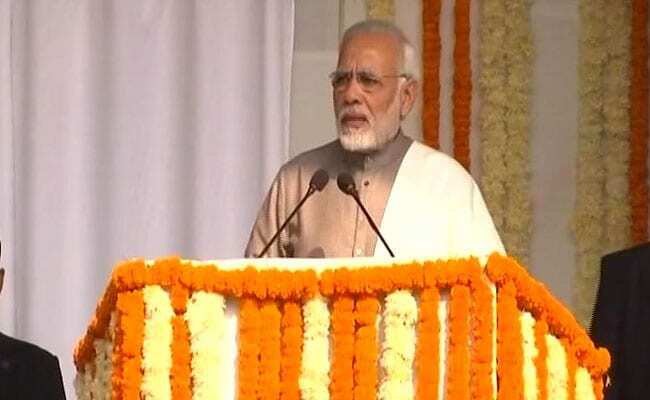 Tekanpur, Madhya Pradesh: Prime Minister Narendra Modi today drew the attention of the country's top police officials to the problems arising out of social media and cyber crimes, saying they should be dealt with on highest priority. PM Modi said cyber security issues should be dealt with immediately and should receive highest priority, according to an official release. In this context, the prime minister particularly mentioned the importance of social media. He said messaging should rely on local languages for greater effectiveness. Referring to the radicalisation of youth, PM Modi urged the top police officers to use technology to pinpoint the problem areas. PM Modi said security cannot be achieved selectively, or alone, and for that breaking of silos and information sharing among states can help make everyone more secure. Following a directive of PM Modi, the home ministry has been organising the conference outside the national capital since the NDA government came to power in 2014.